Visit Paris (Arc de Triomphe, Musee d'Orsay). Recorded commentary with individual earphones: French, English, Spanish, Japanese, German, Russian, Portuguese, Italian, Chinese. Child rates: Child rates apply to those who are 4-11 yrs old. Children below 4 years can travel free with full paying adult. 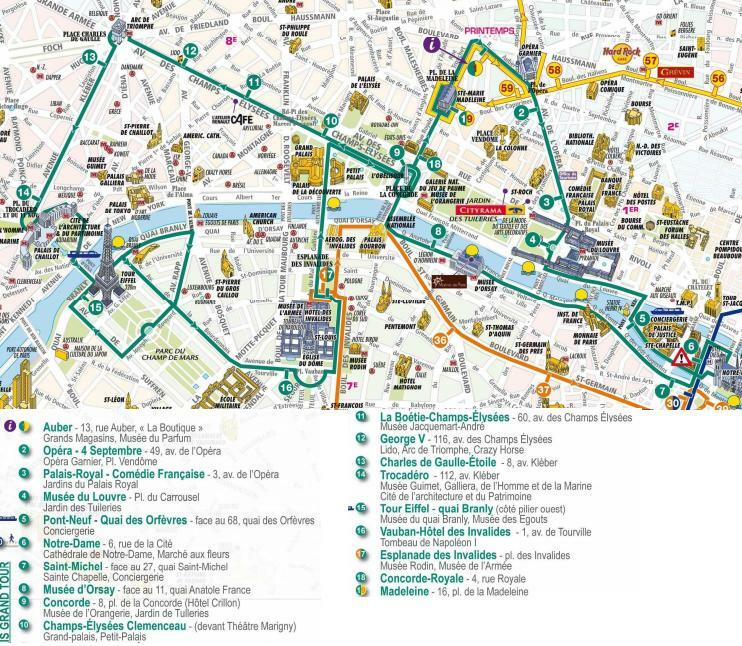 On this Paris l'Open Hop-on Hop-off Tour, guests will be able to discover 4 different itineraries to explore the magnificent city of Paris. Each itinerary focuses on one aspect of the city: the historical, romantic, fashionable, fun, and shopper-friendly. With their special passes, guests will be able to hop on and off the bus at any time they like to further explore the city's attractions at their own pace. On the bus's open-top deck, they will be able to see amazing views as we drive along the grand avenues. In addition, the museum pass grants guests free entry, with no waiting in line, to over 50 museums and monuments in Paris, including, the Orsay Museum, the Arc de Triomphe, and many other attractions in and around the city. Please see "Departure and Return" for more detailed information regarding when and where to pickup passes. Apr to Oct: Every 10 minutes from 9:30am to 7:00pm. Nov to Mar: Every 30 minutes from 9:30am to 6:00pm. I love this tour, very flexible, and the audio device is very helpul.